In 1992 he graduated from ENI Brest as engineer in electronics, and received the Master of Science degree in Electronics and Aerospace Telecommunication from Supaero in Toulouse in 1993. Since 1994, he has been working for Inria a public science and technology institution dedicated to computational sciences, as research engineer at Inria Rennes – Bretagne Atlantique, first in the Temis team (1994 to 1996), then in the Vista team (1996 to 2003) and more recently in the Lagadic team (2004 to 2009). He joined the SED, the Developments and Experiments Service when he was founded in 2009, and was seconded to the Lagadic team until 2017, then to the Rainbow team when it was created in 2018. Particularly interested in robotics and computer vision, his interests include software engineering for the design of real-time computer vision and robotics applications, and industrial transfer. 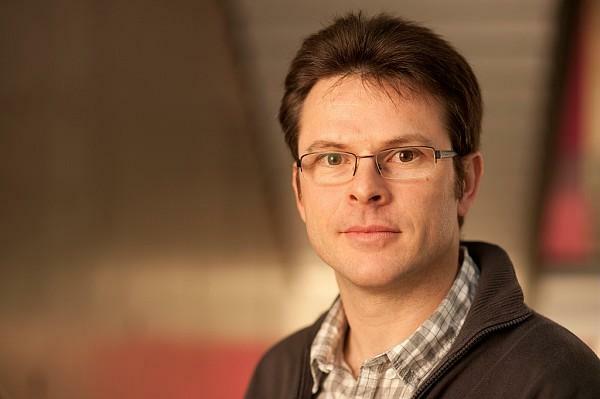 At Inria Rennes – Bretagne Atlantique, he is the Technical Director of the experimental robotic platforms dedicated to researches in visual servoing and visual tracking. These platforms include several industrial manipulators, indoor mobile robots, humanoid robots and indoor flying UAVs. He is also the Technical Director of the ViSP open-source software, a library used world wide that allows prototyping and developing applications using visual tracking and visual servoing techniques at the heart of the Lagadic, and now Rainbow researches. He gave tutorials in computer vision at INSA engineering school (2004 to 2008) and in software engineering for image processing at Ifsic engineering school, University of Rennes 1, DIIC2 INC (2002 to 2009). F. Spindler. Le processus de développement. Journées bonnes pratiques pour le développement logiciel. F. Spindler. Outils d’aide au développement pour plates-formes hétérogènes. Journées bonnes pratiques pour le développement logiciel. F. Spindler. Basic code optimization. Séminaire Lagadic. F. Spindler. CMake; un outil d’aide au processus de développement pour plates-formes hétérogènes. Journées bonnes pratiques pour le développement logiciel. F. Spindler. SCM: Source Code Management; CVS – Subversion. Séminaire Lagadic. F. Spindler. Les outils de test; utilisation de CMake et de Dart. Journées bonnes pratiques pour le développement logiciel. F. Spindler. Builds et tests, utilisation de CMake et Dart. Séminaire Codes et Travaux.